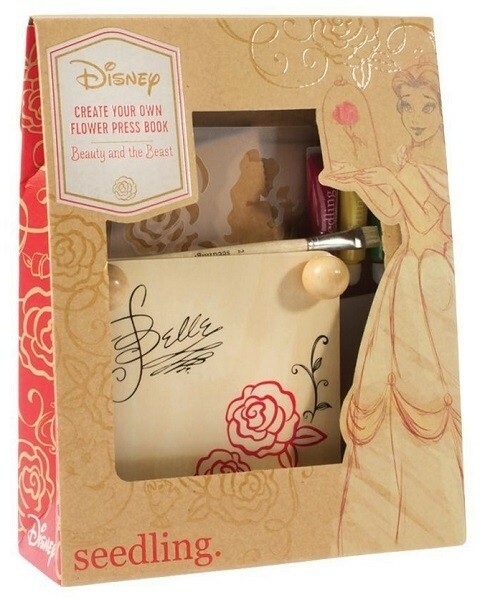 You can create your own flower press inspired by Beauty and the Beast with this kit from Seedling and Disney! Kids can design and create their own greeting cards, personalized Stationery, and more. 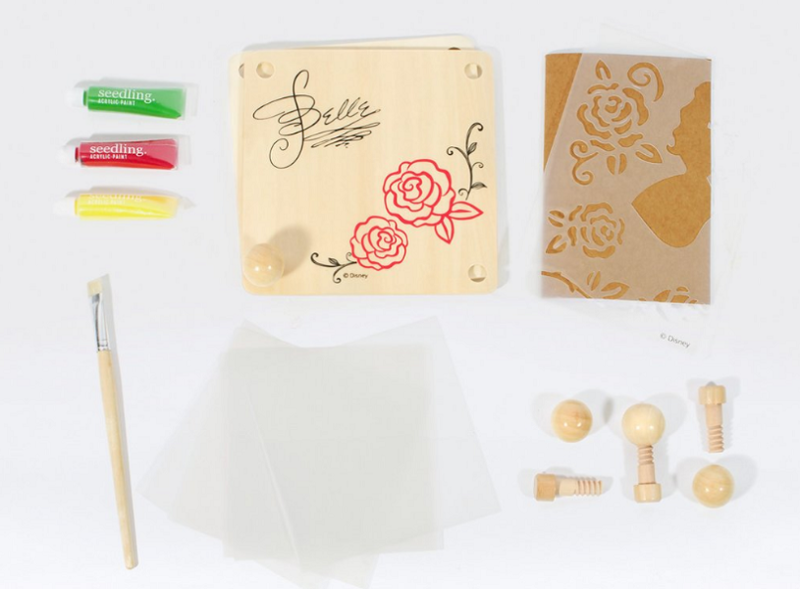 The kit includes a wooden flower press, a notebook, wax paper, a stencil, craft paint, a natural bristle paintbrush, cardboard pressing boards, and instructions. 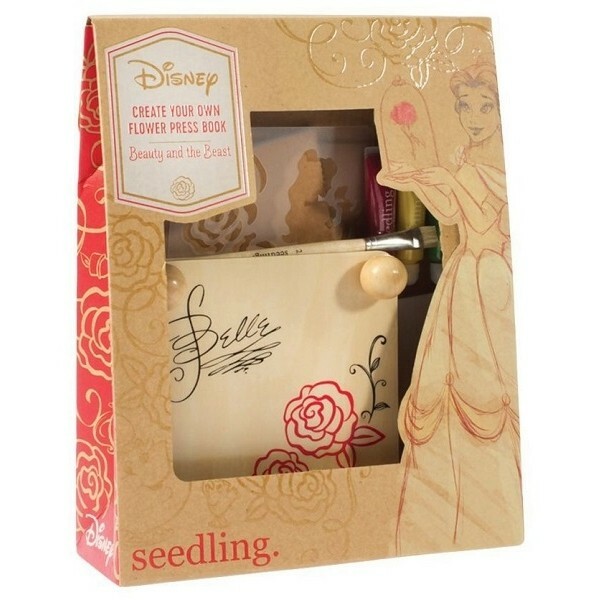 Design Your Own Disney Kits by Seedling bring your favorite adventures to life, your way! The Design Your Own Disney Kits by Seedling offer a fresh, exciting way to dream and design the stories you know and love.